Asia Pacific Baker is an international business to business magazine tailored to meet the market standards and needs of the Asian bakery industry, based on an extensive knowledge and presence in the Far Eastern markets. While providing its readers with in-depth articles, relevant breaking news and expert voices, it also serves as a reliable guideline for the industries changing trends. Published quarterly, the magazine has a total circulation of 7,000 copies, and reaches many top managers within the industry from over 15 countries, including –– China, Thailand, Hong Kong, Japan, Australia, Indonesia, New Zealand, Singapore, Philippines and India. It is distributed to the major hotels, industrial plant bakers, craft bakers, frozen and general food manufacturers, import/export and supermarket groups, as well as educational institutions and subscribers. Asia Pacific Baker targets both industrial and craft bakers across all of the countries and regions of Asia. The baking industry in the Pacific Rim is unique. Not only is there a strong European influence in terms of the style of baked goods being produced, there is also great diversity where the bakers themselves are concerned. While the region is characterized by a large number of smaller craft or ‘artisan’ bakeries, there is an increasing number of industrial plant bakers too. It all adds up to the fact that the region’s bakers continue to develop their own product lines, mixing traditional and modern bakery techniques. As a region, the Asia Pacific has attracted plenty of interest from global bakery businesses in Europe and the Americas. Growing interest in the region has led to increased investment. 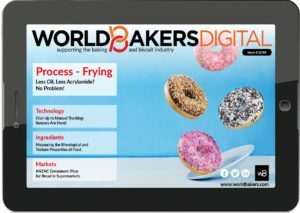 Together with the web portal www.worldbakers.com and the exclusively digital magazine, Asia Pacific Baker serves the worldwide bakery and biscuit industry with up-to-date industry news, expert market views, and trends analyses. 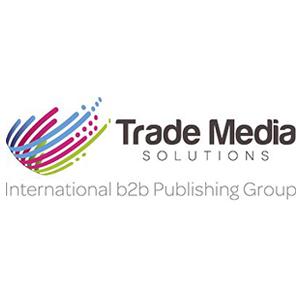 Contact information: office@mediatrade.ro; editorial@mediatrade.ro; subs@mediatrade.ro.